Slap in the Face is serving a multi-media art show extravaganza that penetrates the inner workings of the creative and twisted mind of Twiggy Birmingham (aka Christopher Twig). Twiggy Birmingham is an ongoing creative project spanning over three decades that takes the body, costume, adornment and performance to the level of an art form. 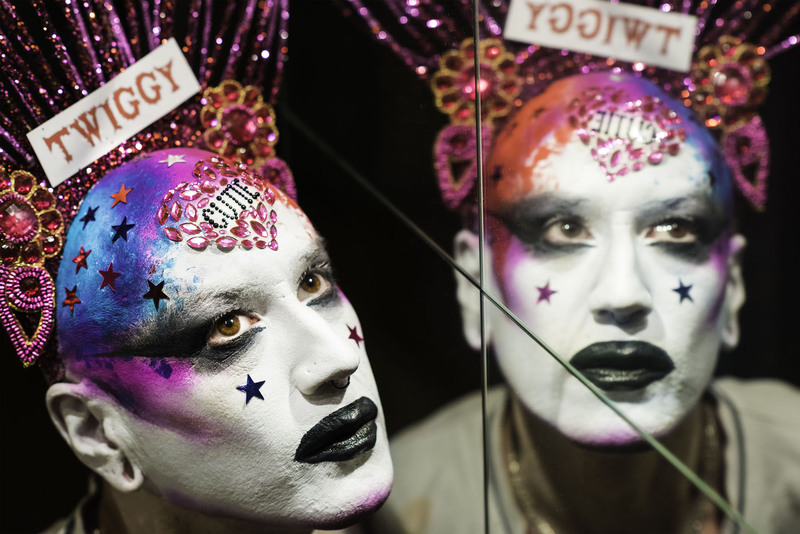 From androgynous punky Goth, to energy fuelled Club Kid, to flamboyant event host and walkabout artist, to outrageous stage performer, Twiggy Birmingham has documented their experiences through photographs, video, costume and memorabilia. An unmissable figure in pop, club and drag culture of Birmingham and beyond – experience being Twiggy! Join us for the exhibition launch from 18:00-21:00 on Friday 10 November. The exhibition continues 12:00-17:00, Saturday 11, Friday 17 and Saturday 18 November. A SHOUT commission by Twiggy Birmingham in collaboration with Dave Remes and Trevor Pitt.